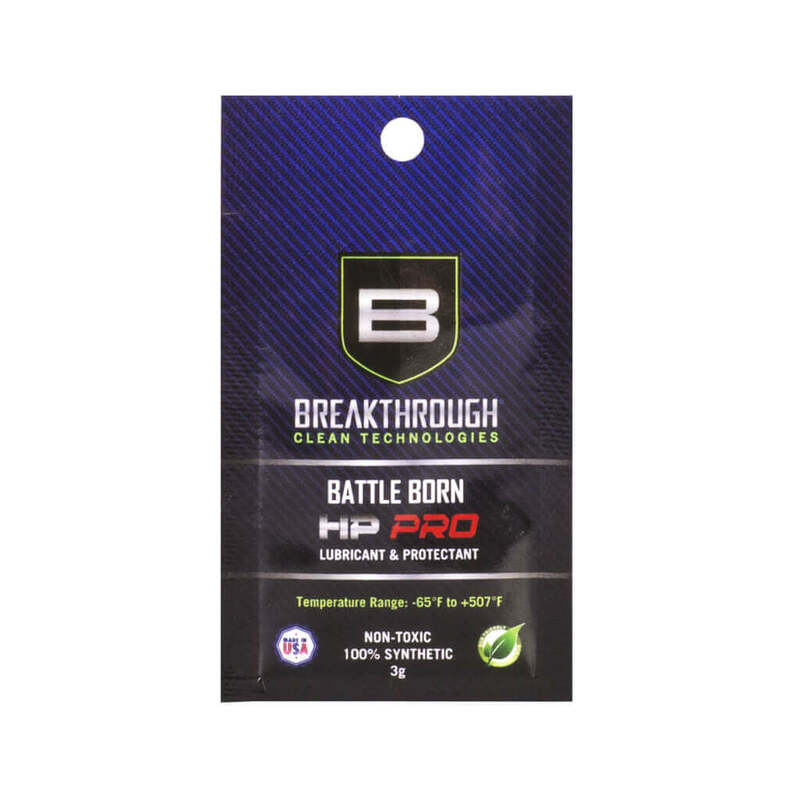 Battle Born HP Pro Lubricant and Protectant is a blend of high quality, 100% synthetic gun cleaning oils. This anti-rust, anti-foam, non-toxic, odorless lubricant is treated with extreme pressure and anti-wear additives to provide ultimate and lasting corrosion protection and lubrication under a broad range of temperatures (from -65°F to 507°F). 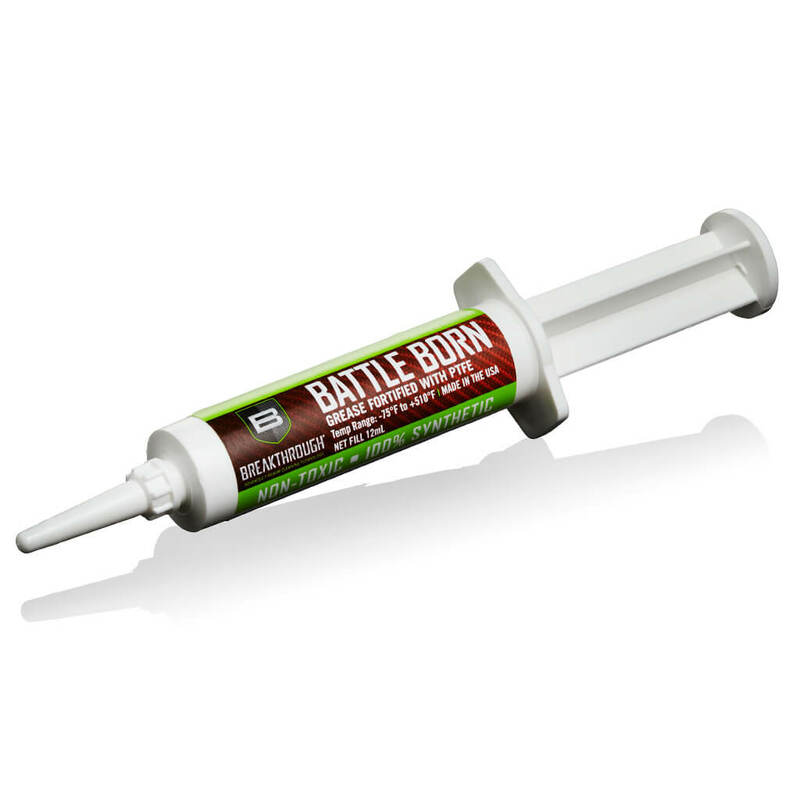 Battle Born Grease is designed to be the highest quality, most advanced, lubricant available on the market. Our firearm grease is formulated with pure synthetic oils, shear stability additives and Sub-Micron size PTFE to protect against wear and corrosion from friction and moisture while withstanding a broad range of temperatures. (Operating Range -75° to +510°F). 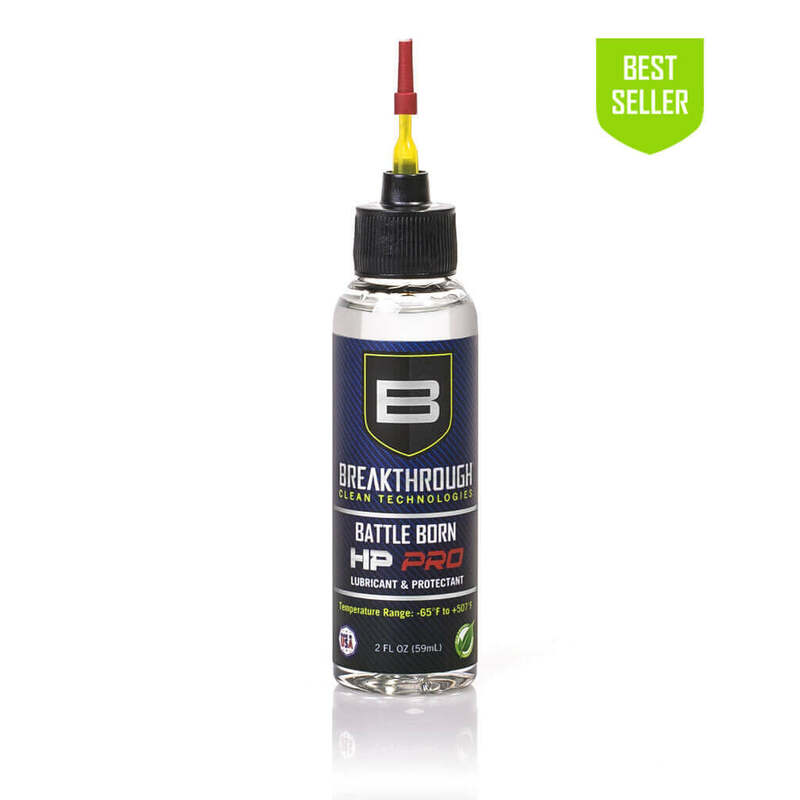 Battle Born Grease is designed to be the highest quality, most advanced, lubricant available on the market. 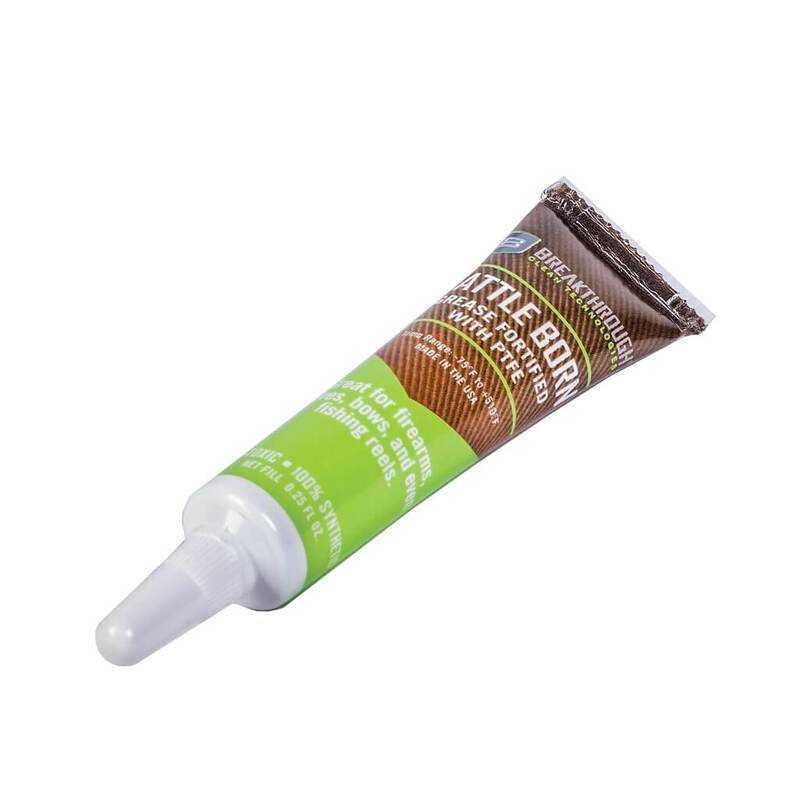 Our firearm grease is formulated with pure synthetic oils, shear stability additives and Sub-Micron size PTFE. 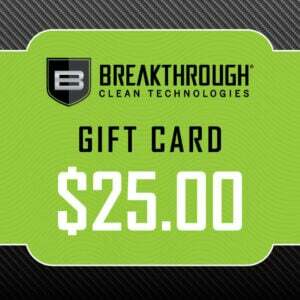 Stay in touch with Breakthrough® Clean. 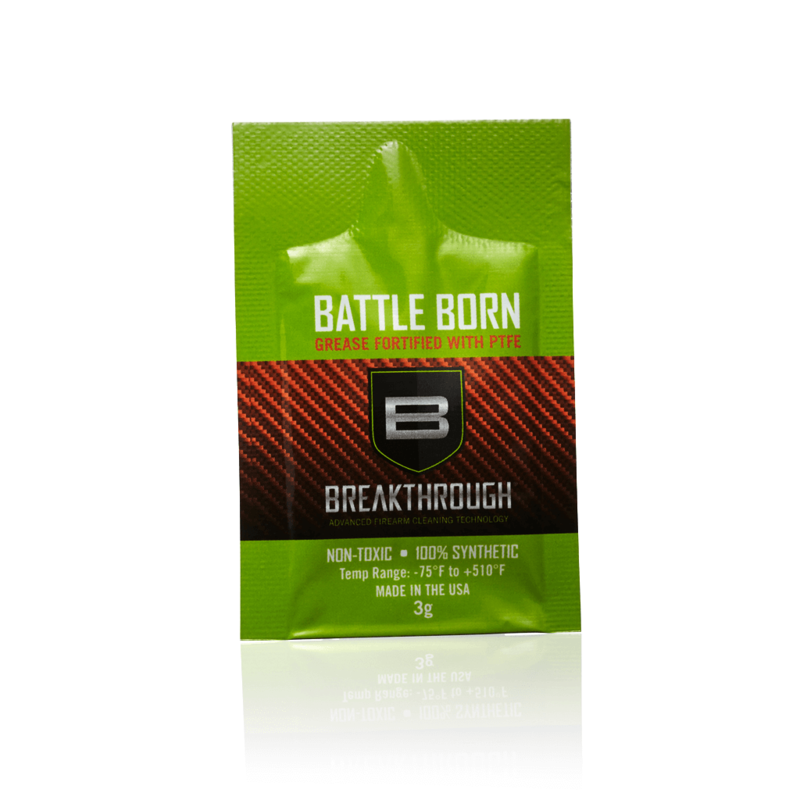 BREAKTHROUGH® is a Trademark of Inland Technology Inc.